I love a really good cookie. Though I don’t have much of a sweet tooth, I appreciate and savor every bite of dessert that my palate can tolerate. 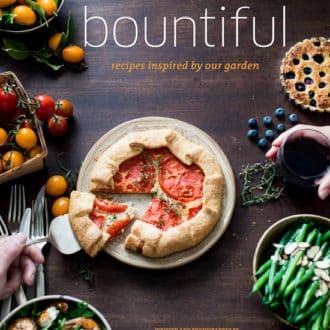 And though I’m not capable of eating too much, I’m always searching for a great recipe that can satisfy my two to three bites of sweet joy. And what do I mean by a really good cookie? I know everyone has their criteria on what they expect out of a cookie, so having an open discussion here is always fun to see what you expect in your next warm batch. I don’t consider myself a cookie-snob, though I’m known to be very frustrated if I pay $3.50 for a mediocre cookie in a bakery! What I love out of cookies are great texture, chew and flavor. We’ve previously written about one of our favorite granola cookies and now I found this on recipe on Pinterest and I’m so blown away by it’s flavor because I love meyer lemon and the flavor really shines in this cookie. It’s so excellent that I actually inhaled 4 cookies in one sitting. And for me, that’s an eating feat. 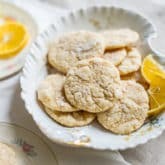 I found this popular lemon crinkle cookie recipe on Pinterst and it was made my Lauren of the lovely Lauren’s Latest blog. 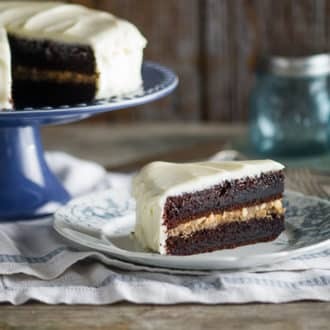 Thanks to Pinterest, I’ve been finding some really fabulous recipes, including my last magic custard cake and when I found Lauren’s cookie recipe few months ago, I’ve been equally obsessed over it. Finally, I reminded Todd about it and he immediately dived into the kitchen to bake up a batch with our garden meyer lemons. He’s a great guy and why I cherish him so much is that he loves to bake cookies. I’m good at finding the recipe and eating them, so we’re we’re a perfect match! The verdict is nothing but applause for Lauren’s recipe. 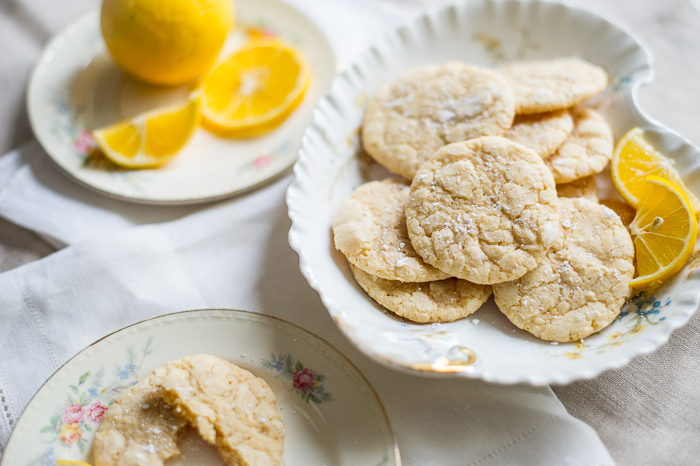 I’m sending you all a big word of caution because if you love lemon cookies, if you love meyer lemons and if you’re a lover of snickerdoodles, you will find yourself stuffing yourself silly with these lovely cookies. 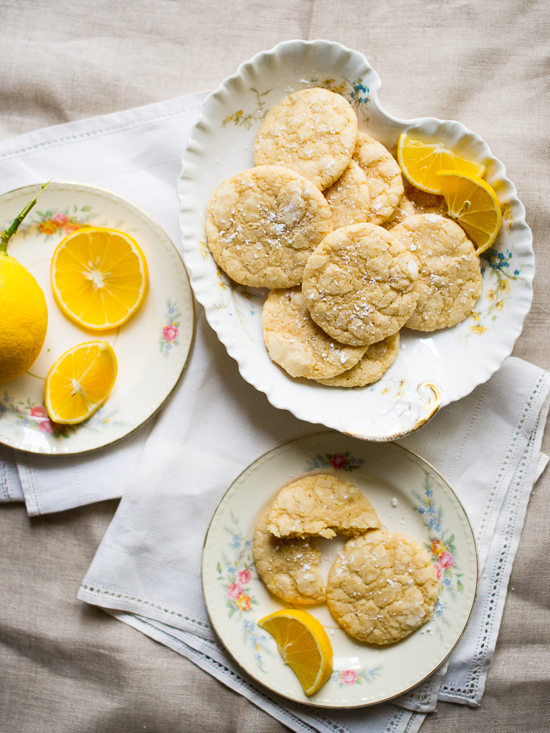 They’re soft and chewy, similar to the texture of a snickerdoodle, but with the bright flavors of meyer lemon and delicate aroma of powdered sugar. We’ve adapted it a bit to suit our taste and our meyer lemons. But you can refer to her original recipe or use our version with the meyer lemons. 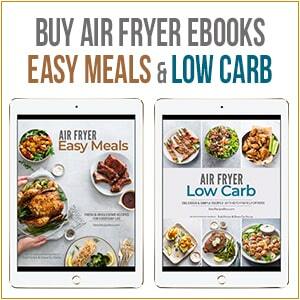 I’m confident this recipe will be making it’s appearance at our Summer dinner parties because they’re that good! 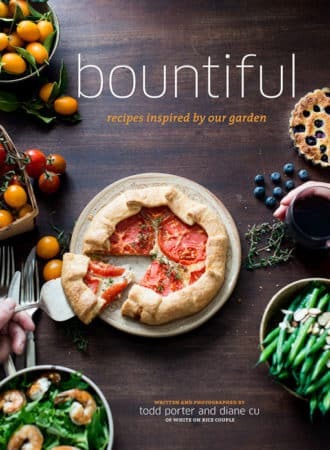 Our cookbook, Bountiful, is available to order on Amazon! & we shared a post about it here. These cookies have a soft interior texture with a slightly crisp exterior given to it by rolling the cookies in confectioners sugar before baking. Their texture reminds us of one of our favorite cookies, our Snickerdoodles, but with a lemon flavor. Feel frees to make adjustments to suite your taste of sweetness and add a little more sure if you aren't using meyer lemons. Preheat an oven to 350°F. Line a couple sheet pans with parchment paper. In a medium bowl, whisk or sift together the flour, salt, baking powder, and baking soda (whisk for at about 20 seconds to make sure it is well combined). Set aside. In mixer, beat together the butter, brown sugar, and sugar until light and fluffy. Beat in the vanilla extract, egg, meyer lemon zest, and meyer lemon juice until well combined. Scrape down the sides of the bowl and mix again to make sure everything is incorporated. Stir in the flour mixture until just combined, making sure to scrape the bottom of the bowl to get all of the flour. Sift the confectioners sugar onto a large plate. Form the dough into 1 inch sized balls (a 1/2 oz. cookie scoop works perfectly to help make balls). Roll the balls in the confectioners sugar then place 2 inches apart on the lined sheet pans. Bake for 10-14 minutes or until the bottoms of the cookies just begin to turn light golden and the tops of the cookies look matte (no longer shiny or wet looking). Remove from the oven and allow to cool for a few minutes before transferring to a wire rack to finish cooling. Yum! Could I use oil to replace the butter? we’ve never tried it, but it will definitely give a different texture. Hopefully one of our readers has tried it with oil and will let us know! These sound lovely, however I can usually only find regular lemons. 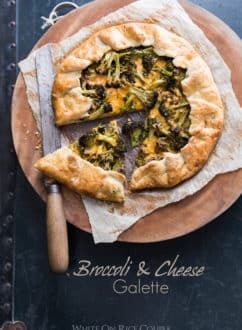 How do you suggest i adapt this recipe? Hi Diane. 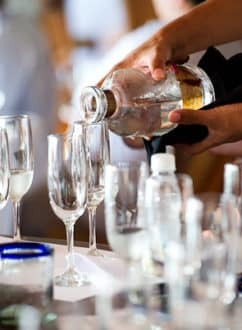 You can try the recipe with a direct substitution, it will have a brighter lemon taste, but should still be good. You might want to add a touch more sugar, depending on your lemons. Taste as you go and you should have a great cookie. A good cookies brighten anyone’s day! They look fabulous! 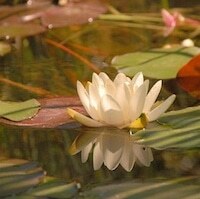 We are also fans of pinterest, there are really great photos! Congratulations for your recipe, photos and, as always, continue to see the blog. Wow….gorgeous pics! I can just taste the lemony flavors of these cookies. Lemon cookies are one of my favs. They are soooo good. Love lemon! These look delicious! Piterest is a magical place, isn’t it 🙂 I’m gladyou found it as I could find it here. Crinkle cookies are my favorite! I’ve been making chocolate chip and also red velvet crinkle cookies! I’ll have to add these to the list! These sound absolutely perfect – and refreshing! We have some small Meyers and a new set of flowers on our little tree at the moment, so I hope we get enough to make this recipe! We didn’t get any lemons last year, but Dallas has had a very nice spring and all of our plants are doing well. Fingers crossed because this looks delicious! I love crinkle cookies but I’ve never had lemon ones. Can’t wait to try these! Beautiful cookies! And congratulations on the book!! 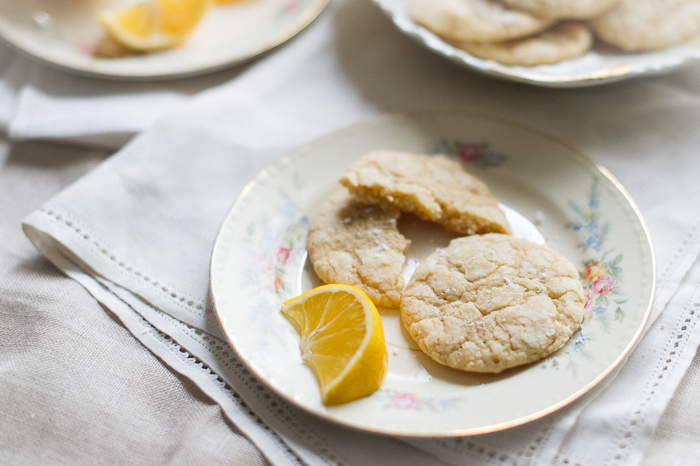 Mmmm, cookies and Meyer lemons – my two favorite things! I’m wondering if you might have any suggestions for making these cookies using just regular lemons and some additional ingredient to get that flavor? While I absolutely love Meyer lemons, I can’t find them locally very often. Thoughts? Oh I’m craving one of these cookies so much! Love how you describe them and the idea of that bright lemony flavour! These look incredibly good. Will have to make these for a client this week! 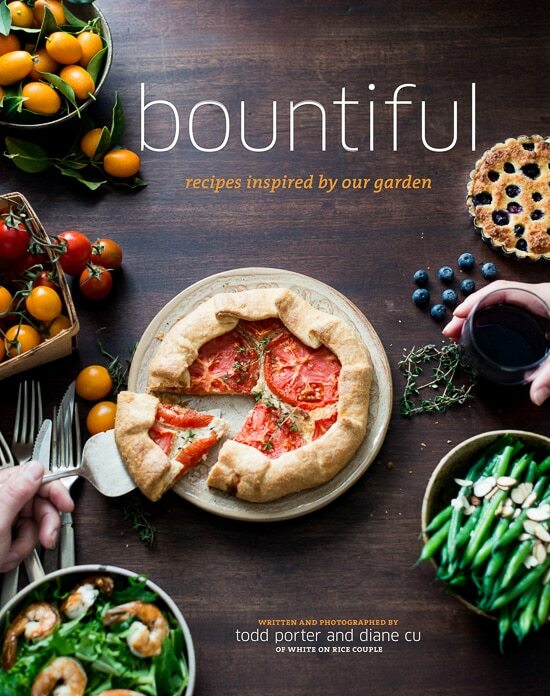 Adding this to my Meyer lemon recipe collection – lovely! The cookies sound like one I would love. But it’s the flowered plate that caught my eye. I have an entire set that my mom got for her wedding in the late 40’s. So fun to see it in your photo. I love anything lemon! Thanks for sharing, I am definitely going to have to these.